Venue: National Stadium, Surulere, Lagos. At this point, we want to bring in all stakeholders in Nigeria to be part of the organisation and make contributions and opinions that will help grow the organisation and also help in it's management. 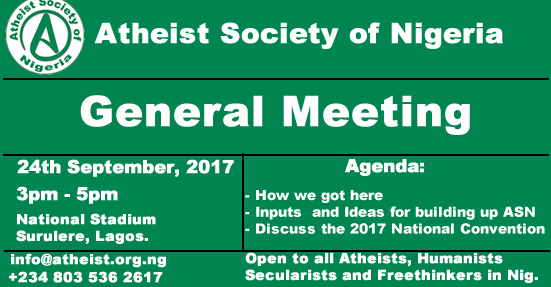 We plan to have a national convention in October (to be announced soon), this meeting will discuss details of the October event and help us to incorporate ideas from stakeholders. Nice one, the notice is too short for some us living outside Lagos. All the best. Wow... Will the stadium contain all of us?